Apologies on behalf of my poor neglected blog! I've gotten in the habit of updating more frequently on my Facebook page. 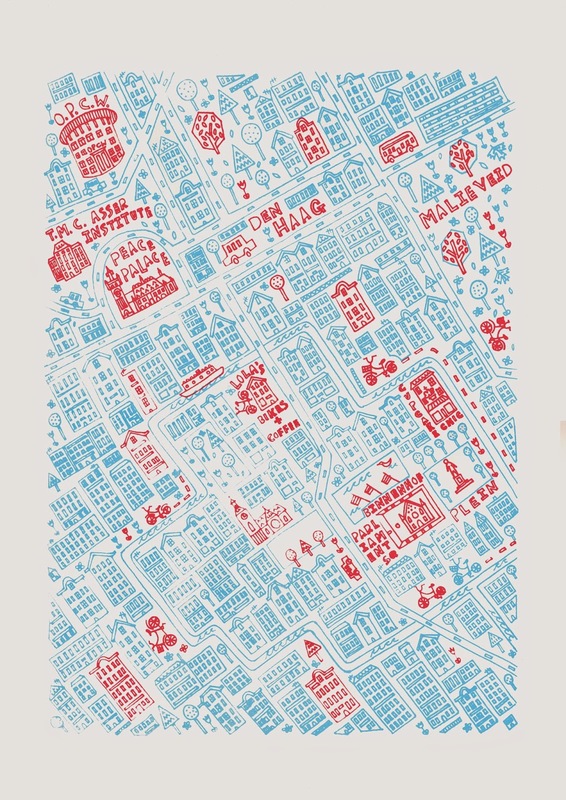 Here's my completed 2 colour screen printed map of The Hague, Netherlands.